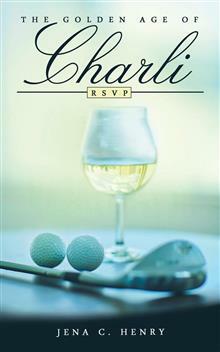 I published The Golden Age of Charli- RSVP, the first book in the series in September, 2015. The second book in the series, The Golden Age of Charli-BMI will be released soon! I all ready have the copies- so excited!! Good question! My writing journey started when I decided to finally try to write what I called “a book-length document.” As I wrote, I began to feel more positive about my product. One day, while I was using the online thesaurus, an ad popped up- “Are you writing a book?” “Yes… YES!” I shouted. I clicked the link and soon received a call from a consultant at iUniverse. After a long discussion and plenty of questions from me, I chose iUniverse because they are a hybrid self-publisher. They offer a large team of professionals and services- all types of editing, cover design, marketing and promotion. This was the best of both worlds for me- I could move forward and achieve my publishing dream, but have access to all the services I would need to produce a high quality project. Less than six months. I needed heavy editing for my first book- but much less for the second manuscript! Yay! I was thrilled, satisfied, and excited, and eager to learn more about the book and publishing world. I celebrated by starting to write the second book in the series. I also had a lovely launch party and book signing, complete with a specially crafted Charli cocktail. Before my book was published, I used to wake up at night and worry about how to market and promote my book. iUniverse offered me a variety of marketing services and I have used many of them. I love marketing my book. The first thing I did, after my launch party, was to take a course in social media so I could start to build my platform. Since my first book was released, I have worked 4-6 hours a day on social media and my website and blog. Toe Up to 10K is about my road to recovery from spinal cord injury. Chronologically, it covers the time from when I was diagnosed with meningitis, and became a paraplegic, to when I was walking without a cane and working to run again. As far as the subjects I discuss, I write about the physical and issues I dealt with, where, what and who I drew inspiration from, my exercise regimen and the strategies I employed to adapt to the issues caused by the spinal cord injury. In June 2012, I went to the emergency room and was diagnosed with viral meningitis. Four days later, I lapsed into semi-consciousness, and when I regained full consciousness, I was paralyzed from the chest down. Although doctors thought I might walk again, it wasn’t guaranteed, and if so, only to the point of “well enough.” It was implied that I would spend about a year in a wheelchair. However, within six months, I was walking around with the aid of only a quad cane, and within 15 months, was walking without a cane. So, the triggers for writing this book were the meningitis, the damage to the spinal cord, the resulting paralysis, and recovering from that paralysis much better than anybody expected. There were two main inspirations. One, when I was in the hospital, I really wanted to know what would happen next – the chronology of recovery. Now, I know every individual recovers differently, both in areas that recover, and the amount of recovery. However, I wanted to share my experiences and be a point of reference for those who experience spinal cord injury. Although everybody’s experience is different, there are some common ground. The second inspiration is the recovery itself. I don’t think I was expected to recover my ability to walk as well as I have, nor as quickly as I did. I wanted to share not only what I did physically, but also wanted to share the importance of attitude and drawing inspiration from outside sources, whether it is from creative works, such as songs, or from people, such as friends, family and healthcare workers. Outside of writing, I’m currently working on running. I currently walk at the same speed as pre-injury. When I finished the book, I still had trouble sprinting. Currently, I can sprint – I just need to work on speed and endurance. As far as writing, I’m returning to my “roots,” so to say: supernatural fantasy. I use the word, “fantasy” because I like to write about monsters that don’t exist in real life such as stereotypical vampires and zombies. Specifically, I am working on the sequel to my vampire novella, Sword of the Undead. My one bit of advice to writers is to be yourself. Not only does the sincerity come out, but you, as an individual comes out. You will also notice that words flow easier, making the process more enjoyable (or less painstaking). Other books on spinal cord injury are compelling and inspiring stories about people who’ve overcome obstacles. I believe mine is the same. However, Toe Up to 10K is different because it can also serve as a point of reference as to what issues what one can expect when the spinal cord is damaged. And regarding this, I cover some issues that are glossed over in other books, such as bowel and bladder issues. Toe Up to 10K can also be a handbook as far as finding examples of dealing with some of the issues caused by spinal cord injury: the exercises, the act of drawing inspiration from others, the importance of support from others, etc. I didn’t include as much person to person interaction as I could have, and in that respect, I think this book has a little more of an objective feel to it than other books. I actually think it would make a good reference book for fiction writers who want to have a character whose spinal cord has been injured – and still enjoy the compelling and inspirational tone of the book. Life is a priceless gift, and one of the best ways to make use of this gift is to practice gratitude. Listen to Steven Fujita’s interview on the Book Club with John Austin, which aired November 2, 2010, about his novella, Sword of the Undead, a re-telling of Bram Stoker’s vampire novel, Dracula. 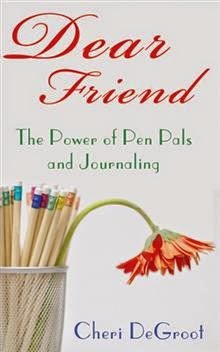 The topic of my book Dear Friend is about pen palling and journaling. How I started pen palling, and how I started journaling in different ways. Sharing different pen pal views on pen palling. I learned about pen palling and journaling from my own experiences in my life. I started at the age of ten. And now I am 68 years young and still running two pen pal clubs. I love pen palling it’s my work and being an author. I wrote this book to help inspire others to make a change in their lives, by learning to communicate by handwritten letters or now chatting on the computer, or talking on the phone. They have choices today, which I didn’t have growing up. Writing letters is more personal when you open your mailbox you have email from friends and not just bills or no mail at all. Letters from others makes you happy and excited it just makes your day. I am passionate about my writing, because when I write my mind is clear and the words just come out what I want to write down a paper. Yes I have a good ritual I feel I did a good job and jump for joy that I accomplished it on my own. Feeling good about yourself is very important when you are a writed. I had a lot of help doing my writing career, my family, husbands, friends, relatives they all supported me and gave me the encouragement to go ahead with my dream of writing. I would like to write another book like a sequel to my Dear friend book in the near future, as all my pen pals friends keep asking me when im going to do it.